The All-Russian Patient Union (ARPU), in which the RuMSS plays one of the key roles, is again bringing together, in one hall, patients, physicians, government employees, manufacturers of medicines and medical equipment and all those involved in resolving urgent patients’ problems in Russia and beyond. 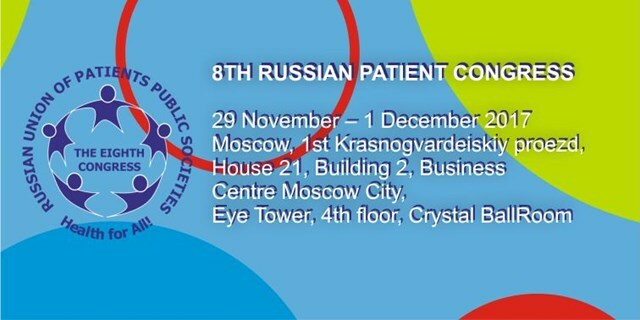 VII Russian Congress of Patients will take place on 9-11 November 2016 at the Multimedia International Agency ‘Russia Today’, Moscow. The congress will have its theme as ‘The government and citizens to develop a patient focused healthcare in Russia’.